This is how Kampala’s Archbishop emeritus, Cardinal Emmanuel Wamala sees the pending visit of Pope Francis to Uganda. The Cardinal, who turns 89 in December, said that after witnessing the apostolic visits of Blessed Pope Paul VI in 1969 and that of Pope St. John Paul II in 1993, he hopes that Pope Francis finds him still alive. The Cardinal was speaking to Catholic Radio Sapientia in Uganda. “I think I am very fortunate to have been here during the visits of Blessed Pope Paul VI to Uganda and Pope St. John Paul II to Uganda. I hope that Pope Francis finds me still alive. Like everyone else I am eagerly waiting for this visit with great excitement,” Cardinal Wamala said. Asked what it was like to have a pope visit Africa in 1969, Cardinal Wamala says, “My recollection of that visit is rather scanty. Of course it was a unique thing that a Pope would visit a country, let alone an African country. I was there but more or less in the background. I was in the crowd when Blessed Pope Paul VI came to Uganda. I was already a priest and chaplain of Makerere University but there were no special arrangements for priests. Only Bishops concelebrated with the Pope,” he explained. On the contrary, Cardinal Wamala has many memories about the visit of Pope St. John Paul II to Uganda. The Cardinal continues, “When Pope St. John Paul II came to Uganda I was also at the time, Chairman of the episcopal conference and Archbishop of Kampala. The Pope was therefore also my guest. I accompanied him everywhere he went –to Gulu, to Soroti, to Kasese, everywhere… At first I thought I would have the opportunity to point out some of our country’s landmarks to him as he visited but all the time when we travelled he would be praying the rosary. Pope St. John Paul II really prayed for this country!” Cardinal Wamala exclaims. According to the Cardinal, it is the holy Uganda Martyrs that attract people to Uganda. 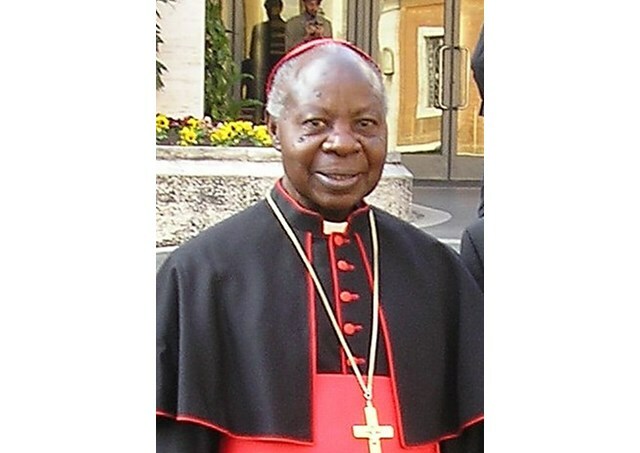 “The holy Uganda Martyrs have been the focal point attracting pilgrims to the country because we do not see any other kind of social superiority that Uganda has over other African countries except that we have been privileged in modern times to have such great numbers of young people who gave up their lives in order to witness for Christ.,” Said the Cardinal who also threw a challenge to Ugandans as they prepare for Pope Francis’ visit. “This occasion calls us to reflect on our lives as believers. Are we what we are called? The big challenge for all Ugandans is, do we reflect lives that are worthy of the grandchildren of the martyrs?” Asked Cardinal Wamala. Pope Francis is expected to arrive at Entebbe International Airport, Uganda on 27 November 2015.